If you want to convert GroupWise to Outlook format without risking your email data, you should pay close attention. 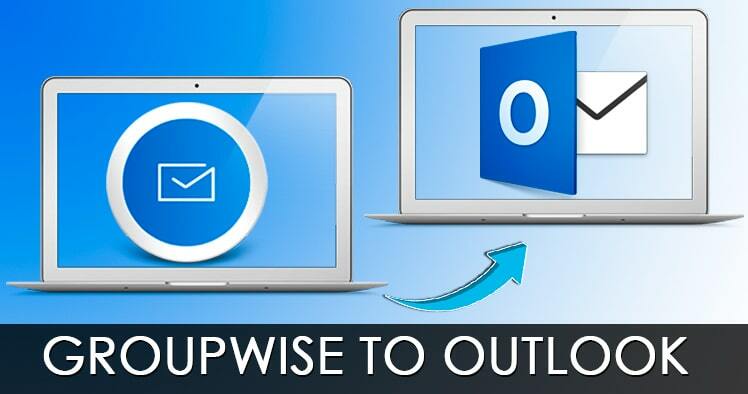 There are lot of tools that claim to convert GroupWise to Outlook files; however, most of them are online tools that offer to export GroupWise to PST for free. You should avoid such tools at any cost since they don’t provide you any security for your database. Most experts recommend using certified or professional tools that are created to ensure safety for your email files during and after conversion. These tools are created in order to simplify the GroupWise to PST transfer process so that even a first time or inexperienced user can also easily convert GroupWise to Outlook files with accuracy. So, how can you find such a tool that works for you and is also easy and reliable? Shoviv GroupWise to Outlook converter is a certified piece of software which was created to successfully export GroupWise to Outlook PST files without any risks. The best thing about this tool is that it is incredibly easy to operate. It can be installed quickly and works at high speeds without any lag. This tool is recommended by other GroupWise users and experts alike since it protects your GroupWise email files from data loss and gives you 100% surety of no data loss or modification. The GUI of this GroupWise to Outlook converter software is made in the way so that all users can operate this tool without fail. The steps are self-explanatory and the user interface will guide the user through each step of the conversion to ensure the most accurate and error-free conversion. You can get 100% accurate results without needing any experience at all. This tool is incredibly powerful. It is substantiated by the fact that all users can migrate multiple mailboxes to PST at a single time. You can use the proxy access feature when you are a single user who wants to add and migrate multiple GroupWise mailboxes to PST. This feature provides a lot of control over the mailbox and many others. Outlook PST files are renowned for their storage capacity. They have the storage capacity of 50 GB which outlook allows according to its own ability. However, since GroupWise does not have such restrictions on size, the source GroupWise files may be large. This is why the Shoviv GroupWise to Outlook PST converter comes with a feature to split the large PST files to smaller sizes for better management. This ensures perfect and error-free conversion of even the largest database. All of us like to be sure before doing something important. Similarly, a user might want to confirm the files that he wants to convert GroupWise to Outlook. For this, the tool offers a data preview option through which you can see all the chosen files before you convert them to PST format. This feature gives added security to the conversion and thus, gives you total peace of mind. You can safely convert your GroupWise data to PST Outlook with multiple options such as “online login”, “default login”, “Cache mailbox login”, “remote login”, “online login” along with the proxy mailboxes. This feature gives a lot of freedom to you as a user. If you want a larger scope of availability for your GroupWise email database, you can use this GroupWise to PST file converter to migrate GroupWise files to EML and MSG formats. This gives you the chance to access your GroupWise data in other formats. You can even choose individual files and folders before you convert them from GroupWise to Outlook. The tool also offers a bulk conversion feature through which you can transfer your entire database at once. The conversion accuracy is guaranteed to be 100%. If you are interested in testing the free demo of this tool, feel welcome to do so. The free demo of the Shoviv GroupWise to Outlook PST converter lets you convert 25 files from any folder for a limited time. Once you are sure, feel free to upgrade. To download the free trial right now, click here.